Bermondsey and Old Southwark MP Neil Coyle has tabled an Early Day Motion acknowledging the University’s 125th anniversary and commending London South Bank University (LSBU) for “its place as a key educational and civic partner across south London in transforming lives, businesses and communities for the better”. LSBU was also recognised for its leading role in providing access to high quality professional and technical education for people and employers and significant achievements in generating world-leading applied research with businesses. 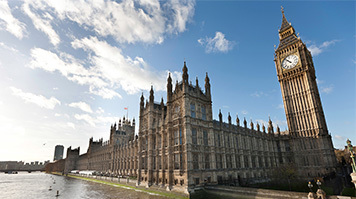 LSBU Chief Operating Officer Ian Mehrtens thanked the MPs for their support and said as Entrepreneurial University of the Year, the University had ambitious plans for the future. The full motion recognising LSBU can be read online.